Capable of delivering airspeed up to about 10 times the speed of sound, Scramjet, which has been dubbed the future aircraft engine of the 21st century, is the new breakthrough of constantly developing aircraft propulsion systems. In a recent paper by author Long Vu, the road to find the optimal 2D model of the inlet – a critical component of a scramjet engine is described. This component itself is what sets the scramjet engine apart from the widely used turbojet and turbofan in fighter jet and commercial plane today. Scramjet relies on the inlet other than turbo machinery to compress the air by a number of oblique shockwaves that form along its ramps in order to create a favorable conditions for the combustion process. The inlet is therefore proved to have great influence on the overall engine performance. “One major challenge of scramjet inlet design is the ability of the engine to operate over a wide range of Mach number without changing the geometry of the inlet”. In the paper, the author tackles the above said challenge and takes us through the preliminary design process of an inlet operating from Mach 5 to Mach 10. This process can be divided into three major parts. First of all, various design criteria will be established based on the results of tests and experiments that have been carried out for numerous scramjet projects in the past such as the NASA Hypersonic Research Engine (HRE) program, the HyShot program and the Hyper-X program. Secondly, one – dimensional flow analysis is done for 5 starting – point inlet models using the oblique shockwave relations to calculate flow properties along the inlet. The results narrows down the options to 3 models. These finalists then move on to the last part of the process: CFD simulation. Development in turbulence modeling in computer aided engineering tools like ANSYS Fluent allows the author to observe complex shock – boundary layer interaction that greatly affects the inlet performance and to decide which candidate is the best out of the three. The development of scramjet engine paves the wave for a new age of high speed vehicles. Only scramjet can sustain long hypersonic flight duration thanks to its simple structure, light weight and its ability to operate without the need of onboard oxidizer tank like rocket. 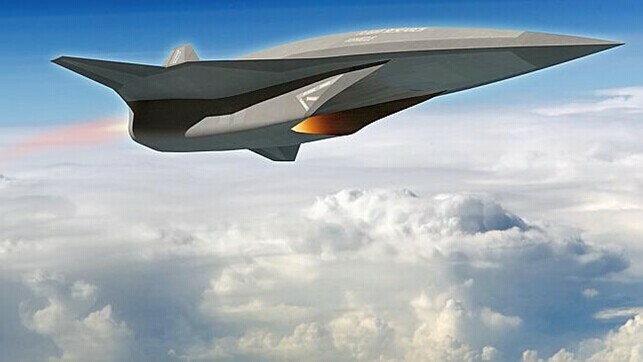 One of the promising application of scramjet propelled vehicles is hypersonic travelling. If commercial hypersonic airplanes come into service, long flights such as from Los Angeles to Sydney that now take more than ten hours can be reduced to about one hour and a half, ten times less. Long Vu, Senior Student, Department of Aeronautical and Space Engineering, School of Transportation Engineering, Hanoi University of Science and Technology, Hanoi, Vietnam. A paper about the study appeared recently in International Journal of Mechanical Engineering and Applications.